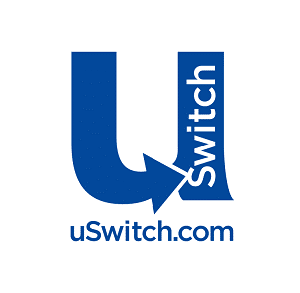 uSwitch, now part of the Zoopla Group of companies, has grown at a rapid pace and kept its place at the front of the energy comparison market. With such fast growth there is always a challenge with cultural change, leadership development and talent retention. As a company moves from 20 people to 200, how do you grow people leaders, adjust to the change in structure, the need for more strategic thinking and through all that, spot and hold onto talent? These questions led the management team to go to market, searching for a solution. With the target population being highly intelligent, strong-minded professionals, it was clear that something off-the-shelf, sheep-dip or frankly patronising would fail before it started. After a few conversations with the talent team, we realised that the starting point needed to be the exec. What did they need from their top talent? What results did they want from some kind of development programme? The solution started to take shape and in an organisation working to follow the principles of agile operations and software development, we needed to be agile too. We went to the delegates with the first design of things based on their needs and kept going back at each iteration to see how well they thought it could work. And of course the beauty was that each time we went back for feedback, we did a bit more learning and reflection with them too. This meant we were all learning through the process. The exec team were delighted with the outcomes and we’ve learned something new about developing agile learning programmes! Our HR team brought Totem on board to help us design and deliver a development programme for our top talent. We’re an agile organisation and have a very different culture to the usual corporate so we needed something different. Totem took the time to really understand that culture, flex to our needs and continuously improve the programme – reflecting our own agile principles.